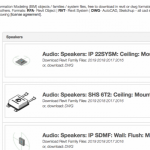 Back when AVIXA was known as InfoComm International it really pushed the message that the AV experience is a lot more compellingthan the AV products. The organization really put its money where its mouth was when it rebranded as AVIXA (Audio Visual and Integrated Experience Association). 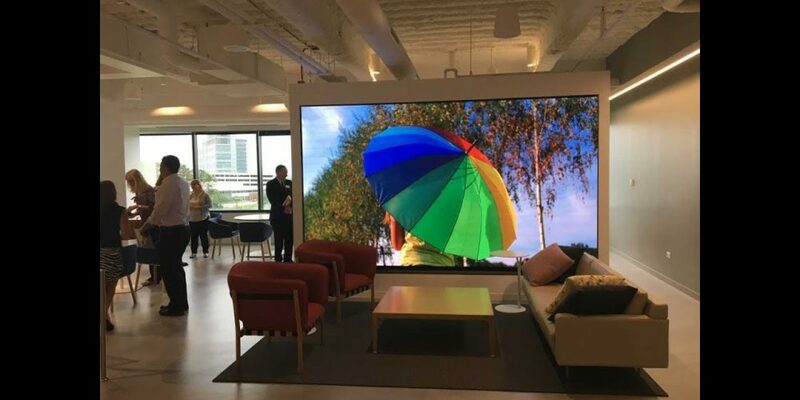 For me, NEC Display Solutions of America, with its highly ambitious new NEC Briefing Center, is making a similar commitment to the AV experience. “No smoke and mirrors. 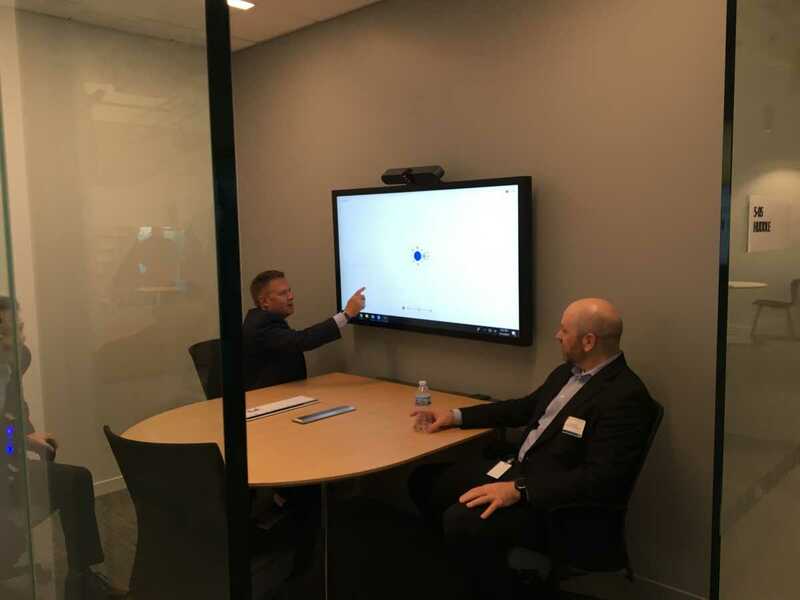 You can actually see how things are working in a true operative mode,” said Todd Bouman, CEO, NEC Display Solutions of America. 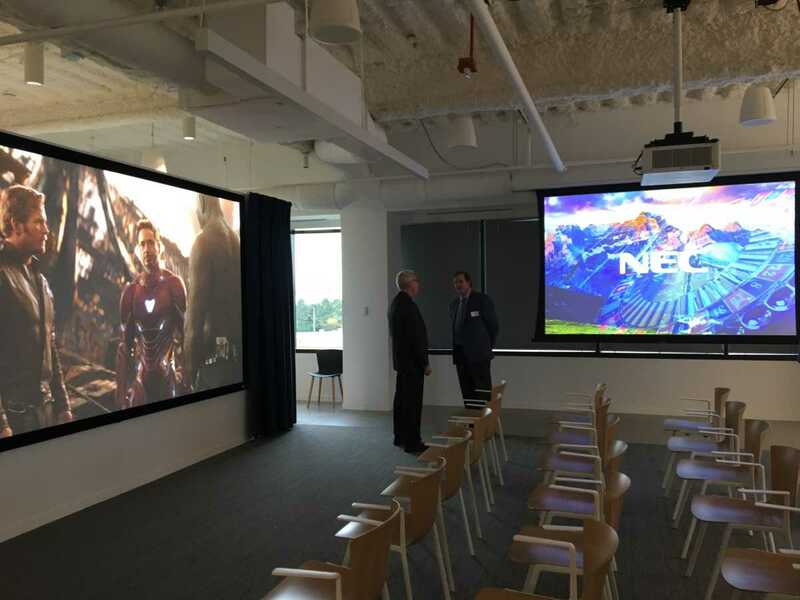 The new facility project – a collaboration between NEC, architect designers Perkins+Will, AV integrator Diversified, general contractors Executive Construction Inc. and technology engineering firm Engineering Plus – does a remarkable job of creating living, breathing applications. The lobby is a lobby, of course, but it’s also a showcase of what NEC’s video wall solutions can do for a customer’s lobby. The café is a place to sit and meet with panoramic views of the arboretum but it also showcases restaurant solutions. Technically the lobby isn’t one of the NEC Briefing Center’s 10 vignettes, but it makes an impact with a 4K dvLED video wall. “A living painting” is how Diversified regional director Ryan O’Halloran describes it. 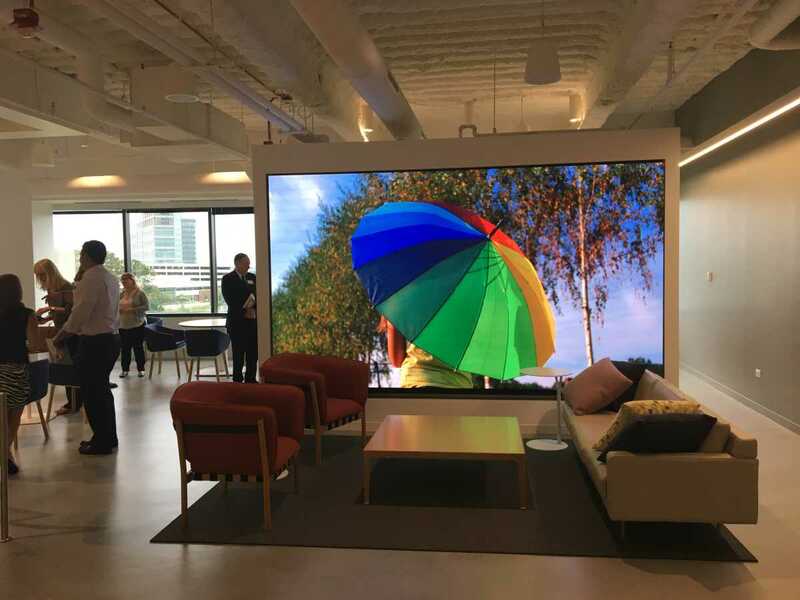 It’s also a platform for helping customers to envision the branding- and communication-value of a video wall in a welcoming space. Not only does it welcome visitors to NEC Briefing Center, it sets the stage for what comes next. There is a lot to convey in the retail space vignette inside the NEC Briefing Center. “You can see we have a lot going on here,” said director of product marketing Keith Yanke. 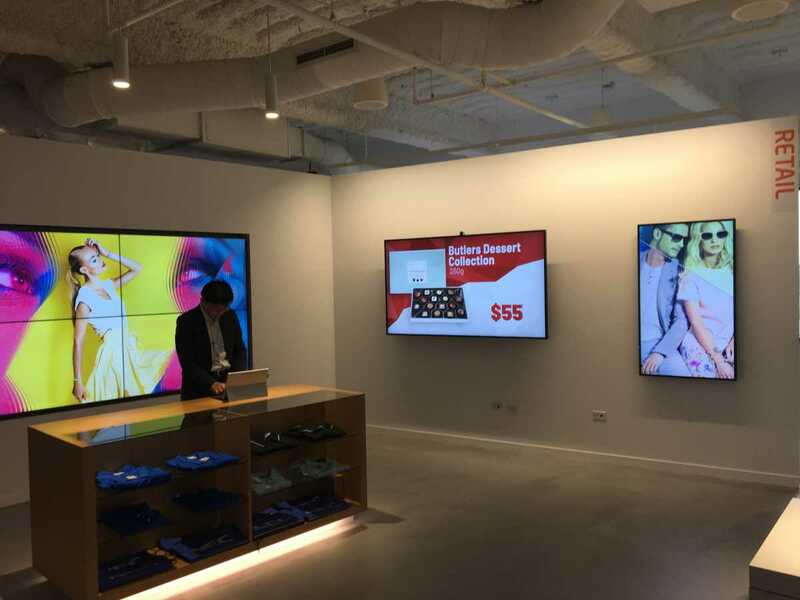 Retail customers are looking for wayfinding solutions, digital signage for product displays, promotional tools, employee training platforms, branding vehicles and entertainment. 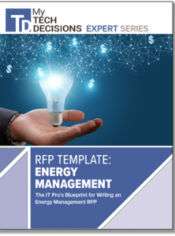 Increasingly, all of these applications need to be engaging and interactive. 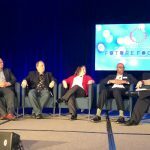 In terms of analytics, Rich Ventura, VP of business development and solutions, explained that NEC is extremely focused on developing new solutions. He described facial detection platforms that enable the detection of age and gender. With that information, retailers can automatically display content that’s more targeted at the customer. A major application for NEC’s digital signage solution – a somewhat mission critical one – is in the transportation sector. 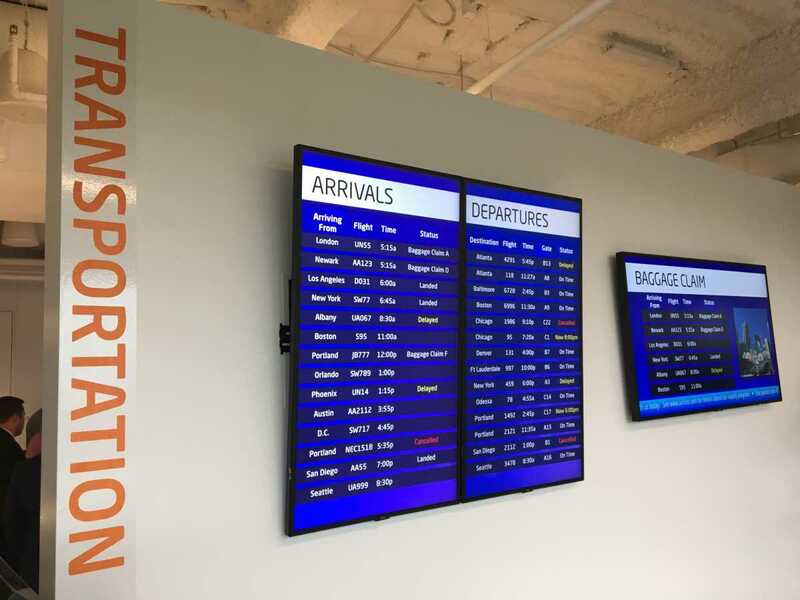 The transportation vignette at NEC Briefing Center showcases solutions for displaying flight information including vital bits about delays, cancelations and security messaging. One vertical that leans on video solutions for completely unique applications is medical, so NEC has some very specific solutions on display in a health care vignette. It shows a portable medical or telemedicine cart and digital signage running nurse station information. 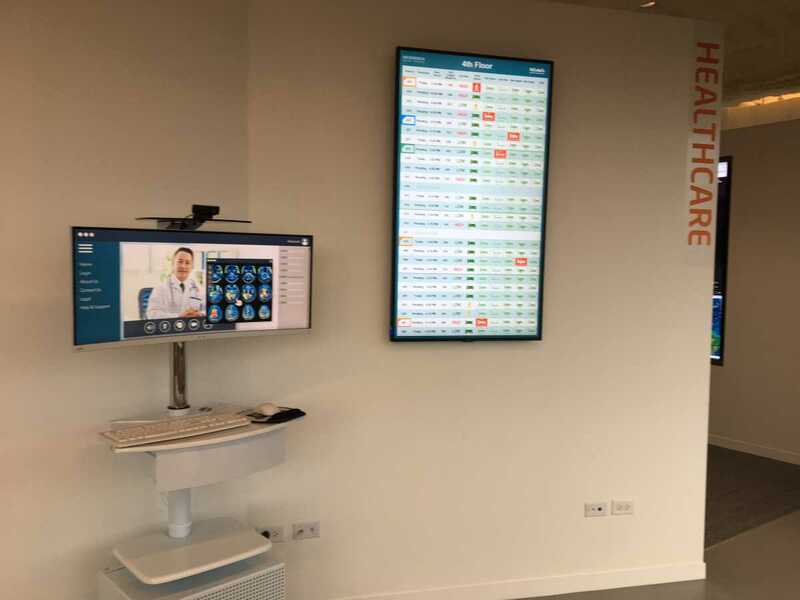 According to NEC, video displays can play a big role in improving patient satisfaction by reducing perceived wait time and it can help staff morale by offering easier access to critical, real-time information. 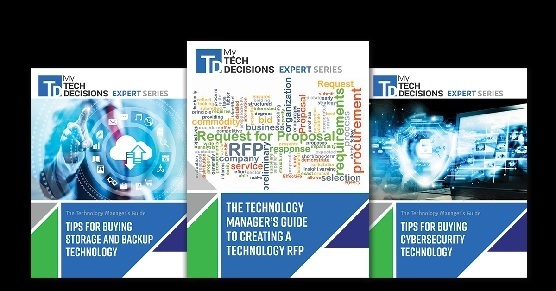 Front and center in the NEC Briefing Center are the partners that NEC works with to create turnkey solutions. 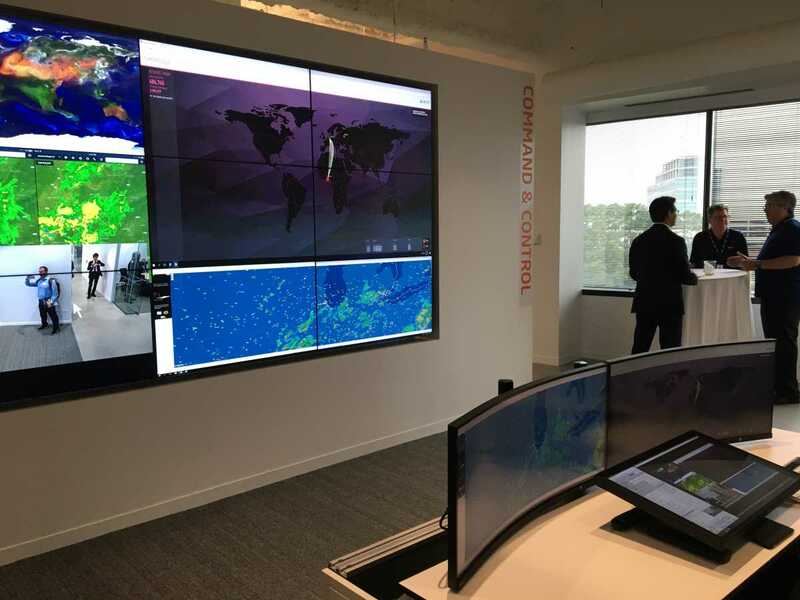 The example very much on display in the command and control vignette is how NEC’s video wall hardware is coupled with Hiperwall video wall software for those mission-critical applications. 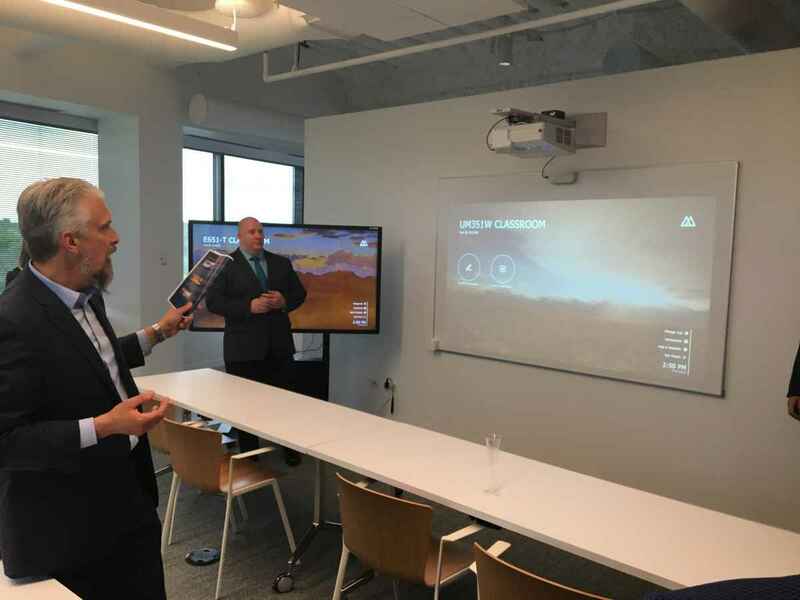 Education – both K-12 and universities – “has been and still is a huge part of the NEC display business,” said Yanke. 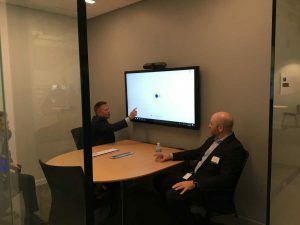 NEC showcases both projection-based and interactive whiteboard style solutions in the education vignette. As large as NEC Briefing Center is, it’s not vast enough to convey the impact of the 10,000-lumen or 20,000-lumen projectors on display in its large venue section. The vignette is meant to convey solutions not just for cinemas but also lecture halls and houses of worship. There are a couple of things going on in the restaurant or café area of the NEC Briefing Center. Perhaps the most important factor for the NEC employees working in the Downers Grove headquarters is that the café style layout makes for a great place to have lunch, coffee, a meeting or to gather and watch an event on TV. “We’ve added some interactivity for around an order board that actually ties into the content on the menu board,” said NEC’s Keith Yanke. From a business standpoint the café layout showcases NEC’s screen display and video wall solutions for the restaurant market. Meanwhile, a good portion of the space is dedicated to quick-serve restaurant (QSR) solutions. NEC’s solutions serve a lot of casual or quick-serve restaurant customers that require menu boards, pointed out Yanke. 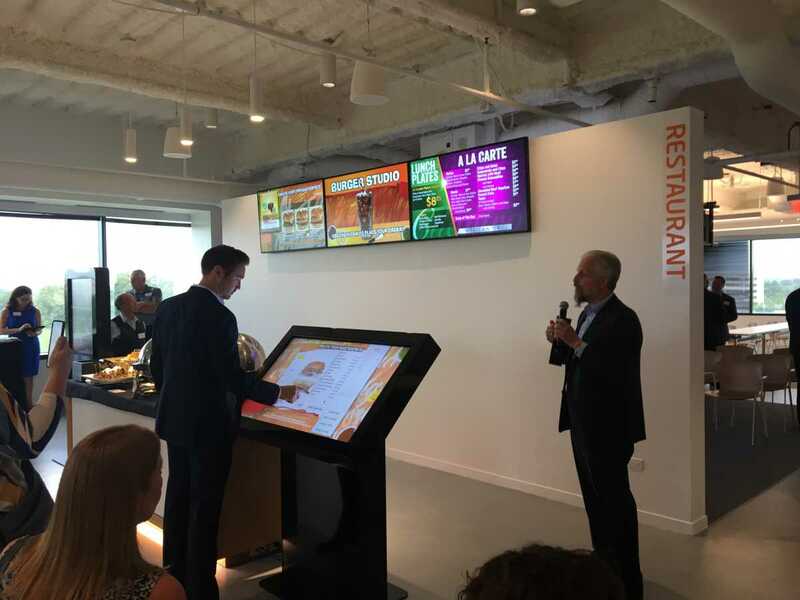 “We were one of the first, if not the first, display manufacturer to put the signs in restaurants, McDonald’s being the first one to do a widespread rollout for all their digital menu boards,” he said. 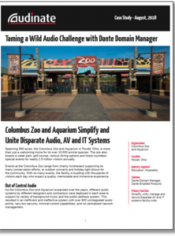 What NEC has done with its QSR vignette is present evolving solutions for these customers. “We’ve added some interactivity for around an order board that actually ties into the content on the menu board,” he said. 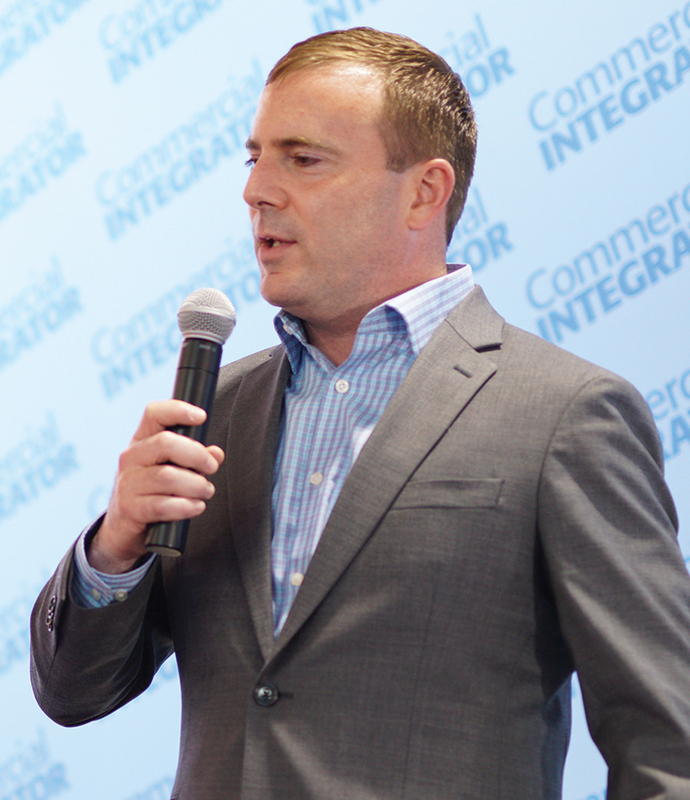 O’Halloran went on to describe precise coordination between NEC’s vendor partners in order to deliver on the NEC Briefing Center vision. 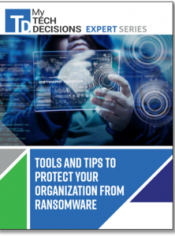 Due to the nature of the space, both the conference room and the huddle room next door need to be intuitive enough for people to come in and start using (or demonstrating) the equipment and adaptable to evolving products, added Mike Mahn, VP, Engineering Plus. 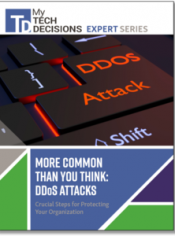 “Behind the displays and showcases in each vignette sits a centralized network-based video distribution system,” he said in the NEC press release. 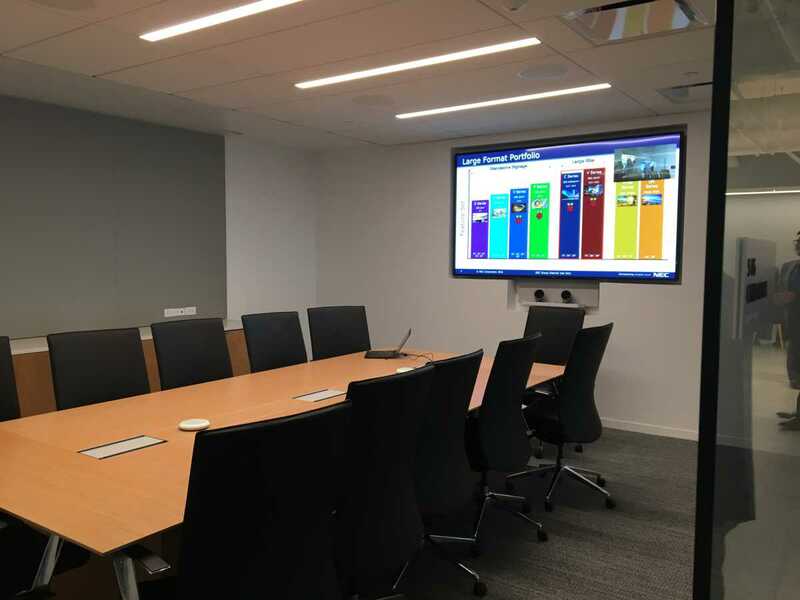 Whether it’s walking through the huddle room, conference room, education space or any of the NEC Briefing Center’s vignettes, individual products are highlighted – but for their teamwork as part of an integrated solution versus for their features and specs. It’s all about the experience – or in this case several vignette hosted experiences. “Experiences are the core of our industry,” said Rich Ventura way back during the 2017 NEC Display Showcase in New York. 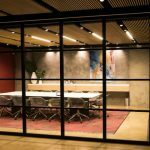 With its new NEC Briefing Center the manufacturer is walking that walk.